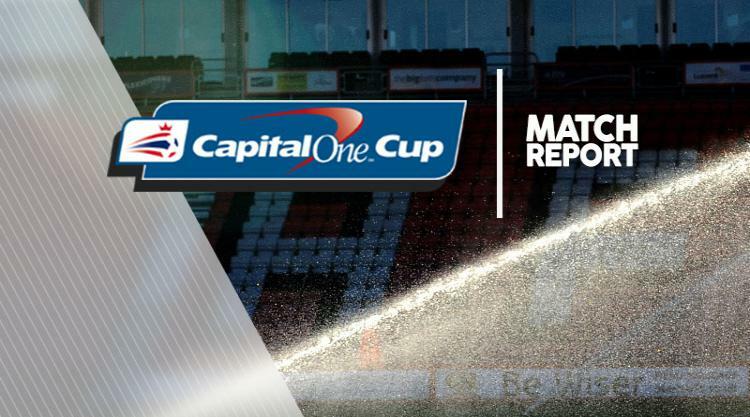 Aston Villa 0-1 Leyton Orient: Match Report - view commentary, squad, and statistics of the game as it happened. Leyton Orient become the latest lower league team to inflict more cup misery on Aston Villa. Romain Vincelot's header three minutes from time sees Orient join Bradford in humiliating Villa in this competition, with the Bantams famously defeating the Premier League team over a two-legged semi-final in 2013. And earlier this year at Villa Park, Sheffield United knocked Paul Lambert's men out of the FA Cup. Joe Cole was handed his full Villa debut. The midfielder's inclusion was one of seven changes made by Lambert for the second-round tie. Shay Given made his first appearance since January 2013, while Darren Bent started a game for Villa for the first time since the final day of the 2012/13 season. Orient made six changes from their League One fixture at the weekend, one of which saw former Villa defender Shane Lowry come into the starting line up. With both sides making so many changes fluency was initially difficult to find. But Leandro Bacuna looked willing down the left and he was involved in much of what was good about Villa early on. Orient's captain for the night David Mooney got his head in the way of a goalbound effort from the Dutchman after quarter of an hour. Shortly afterwards Jack Grealish, making his first start for Villa, saw a close-range flick blocked by Bradley Pritchard after some determined wing play from Bacuna. Visiting right-back Elliott Omozusi might have been pleased to see Bacuna swap flanks midway through the first half but, having faced Grealish last season when the Villa teenager was on loan at Notts County, he knew his replacement could also cause him problems. And with his quick feet and penetrating runs, the 18-year-old showed why he is considered a prospect at Villa Park. But it was a more experienced playmaker in Cole who carved out the best chance of the opening 45 minutes. His perfectly-weighted pass behind the Orient defence sent Bent through down the right-hand side of the penalty area but his shot across Gary Woods flicked off the goalkeeper's legs and wide of the far post. Mooney had Orient's first real chance just before half-time but the striker was well off target with his glancing header from Omozusi's cross. Grealish embarked on another menacing run just before the hour mark but his shot was deflected wide. From the resulting corner Nathan Baker headed over the crossbar. Orient thought their moment had come in the 67th minute when Mathieu Baudry's downward header looked destined for the top corner but Given produced a superb save to turn the ball on to the bar. The game was becoming stretched and Grealish almost got the goal his performance arguably deserved - but he swept his first-time shot narrowly wide. It was all hands to the pump inside the Villa penalty area with seven minutes remaining as Orient substitutes Chris Dagnall and Vincelot saw shots blocked. Bent then fired wide after a superb 35-yard pass from Philippe Senderos, before Vincelot headed home Pritchard's left-wing cross at the far post. The goal was met with angry reactions from a group of Villa supporters behind the dugouts, a couple of whom had to be restrained by stewards as they vented their frustrations towards Lambert. There were also some calls for the Scot's resignation as he walked down the touchline towards the tunnel after the final whistle.